This amazing Barbie DreamCamper transforms from a camping RV into a campsite play set with room for Barbie doll and all of her sisters to sleep (dolls sold separately). 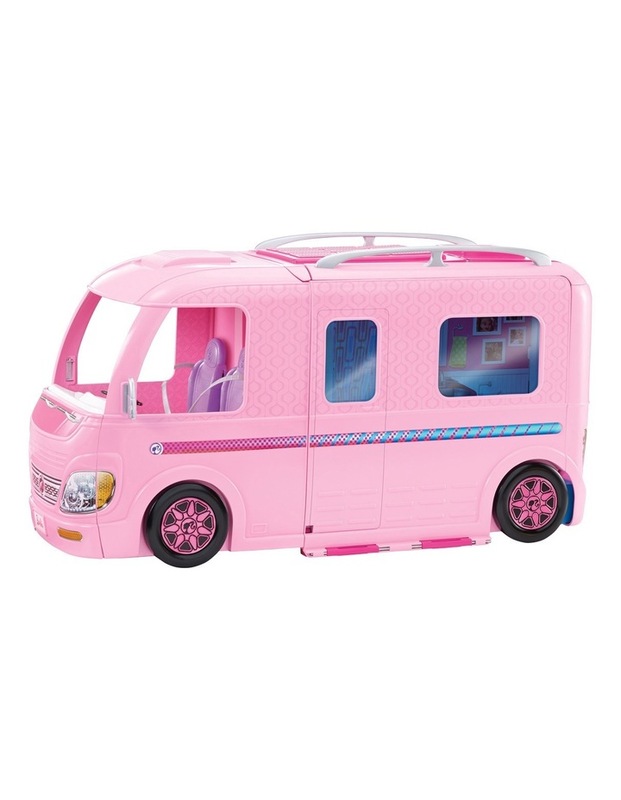 Designed in signature pink with rolling wheels, this camper opens to reveal so much more! Simply press the button at the top of the vehicle to activate a magical feature: the side panel opens, the top pops up and the front and back of the camper expand to create a play space more than 2 feet long! The open side becomes a pool with a water slide and stairs that fold out -- fill to make waves of fun. The interior offers dining under the stars -- set up with the dining table and front vehicle seats that become two chairs.